As a major van rental company in Ireland, you can benefit from our experience of providing great value and high-quality van rentals to customers nationwide in 19+ locations. Our extensive range of vans, trucks and cargo vans means you will always find the right vehicle to suit your needs. With a network of rental offices and pick-up points in more than 130 countries, we’re sure to be able to help you wherever you are travelling to! Europcar is a global leader in car, van and truck rental and we have 3,835 rental locations worldwide, so wherever you need to travel to or from we’re sure to be able to help you. With over 65 years’ experience in the industry, you can trust us to make your rental experience simple and hassle-free. Our fleet of vans will help you tackle anything; we've got makes and models that range from spacious big box vans for moving house to commercial vans. And with flexible packages and clear, honest pricing, you can get the job done without the stress. Whatever your need, Europcar Ireland has a range of cheap van hire options to keep the costs down. Choosing from our hourly, daily, overnight or month+ options, our flexible range of self-drive solutions include vehicles for the short term and long term. 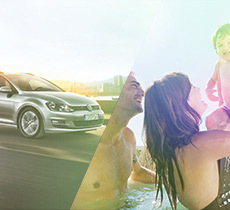 With Europcar you get the flexibility to tailor your car or van rental to suit you with our range of extras such as additional drivers, and protection package. Sometimes you need to transport items that simply won’t fit in the average car and that’s where we can help. So whether you’re moving house, going away to university, transporting large objects, bringing home a bulky purchase, or disposing of waste, our van and truck rental provides a cheap and easy solution. 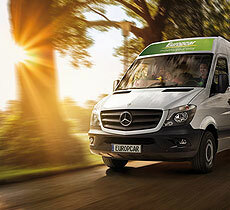 With Europcar Ireland van hire, you can always have it your way. Our fleet includes the Mercedes Vito, Iveco 35S15, Renault Master, Iveco Daily Hayon, Ford Ranger Thunder, and MAN 8.180 KOFFER. Availability varies by country. Sizes of vans and trucks available are from 1 to 42 m3 volume, depending on country. 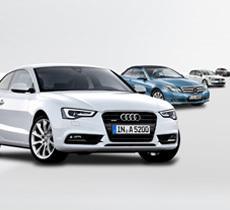 Our fleet guide gives more information about the different models and their sizes. Are you planning to move houses? Read our checklist! 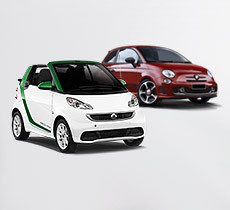 Subscribers to the Europcar Business Solution (EBSS) receive a discount in more than 130 countries worldwide. 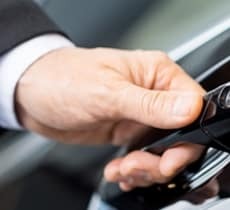 To help make your business trip as smooth as possible, we offer flexible and time-saving options such as online booking, express services, executive upgrades. We can also reduce paperwork for your staff members if you register them in advance in our system so that there are less formalities to complete at the time of pick-up. Meaning your employees spend more time on the job and less at the rental station! Learn more about how we can make your business rentals simpler. Benefit from our worldwide discounted rates on Vans & Trucks. 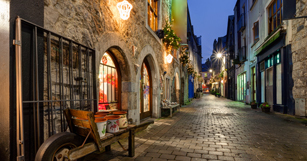 Rent a van in Galway city, the location is ideal for those looking to hire a van for a business use or live near the city to move places. 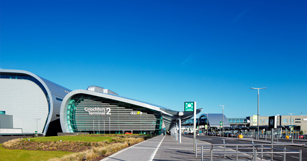 Located 15km north of Dublin City, Europcar at Dublin Airport offers customers a hassle-free van rental service in both terminals 1 and 2. 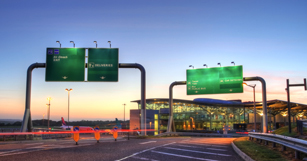 Located 8km to the South of Cork City, Cork Airport Europcar's location offers customers a stress-free service with vans provided on-site.